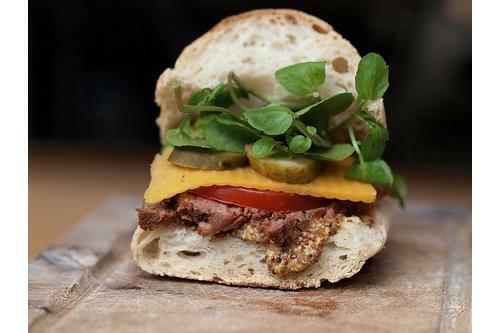 Home Bread Maker Lets You Bake Like a Pro. Anyone? Bread making is a joy when you do not have to do the work. 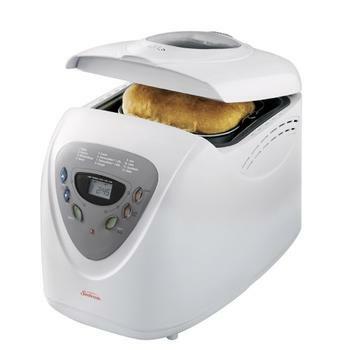 The Sunbeam 5891 2-Pound Programmable bread maker has earned a number of good bread maker reviews, particularly for the ease with which it lets you bake your own bread and other tasty delicacies. 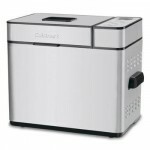 With the ability to produce a hefty two pound loaf from a powerful 600 watts, this programmable bread maker lets you use its express function to deliver the goods in less than an hour. 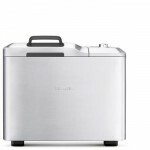 You can let it bake while you prepare dinner and serve a piping hot loaf for everyone to enjoy. When you shop for the best bread makers, you have a chance to choose the one that gives you the features that you prefer at a price that pleases you. To get a good rating in a bread maker review, a unit must have something special. The Sunbeam 5891 has some outstanding qualities that are worthy of your consideration. 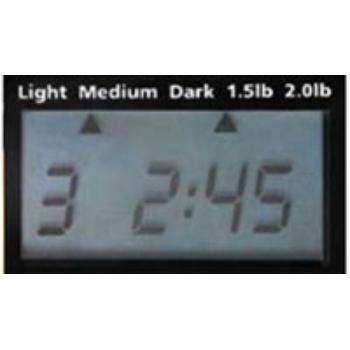 Baking a two pound loaf of sliceable bread or one that weighs half a pound less makes the Sunbeam 5891 stand out from others in a bread maker review, but it offers you much more than that. It lets you customize your dough in 12 different ways, and it even lets you create your own healthy homemade jam. With settings that brown the crust to a light, medium or dark shade, your fresh bread and jam are nutritious additions to your breakfast table. A 13-hour programmable timer lets you set it before you go to bed so that the aromas of baking bread can greet you when you awake. The compact unit’s dimensions are approximately 14 by 19 by 13-1/2 inches. This makes it a convenient appliance to keep on your countertop. Its simple design allows it to complement any kitchen décor. Trust me. When it comes to kitchen appliances, having it easily accessible encourages you to use it often. If it has to find its way on the cabinet, it will not be long before it starts collecting dust. Taking it out and putting it back will simply be too much of a hassle. A large lid takes up almost the entire surface of the top, making it easy to remove the non-stick pan and clean out any crumbs that remain. 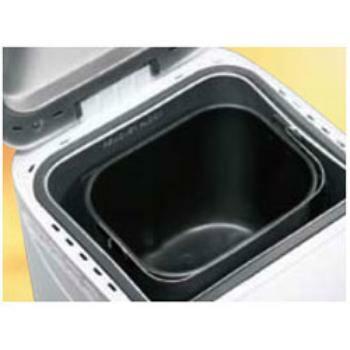 Lifting the lid of even the best bread maker is a “no-no”, and it is a temptation that you need to resist. 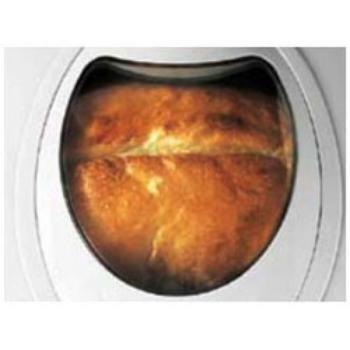 You can easily see how your loaf is doing by looking through the large glass window. Your raisin cinnamon, whole wheat or hearty rye loaf is right below it. 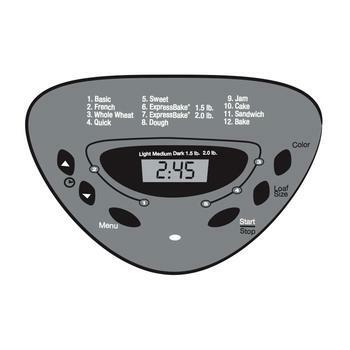 The control panel is one of the most important features on any unit that is considered the best bread maker, and this one is better than most. The panel resides on the front of the unit that slopes slightly backward to make it easy to read. Functions are written on the panel so that you do not have to reach for the user’s manual to know what to do. One is included, however, if you want to learn more about the technical specifications or get step by step instructions. Recipes are in the book as well, and they may spark your creative culinary instincts to make your own banana or zucchini bread. Enhancing the flavor with pecans or walnuts adds nutritional value and intensifies the taste. Priced in the affordable price range, the Sunbeam 5891 model holds its own with others that compete for recognition as the best bread maker. It is highly serviceable and effective, using its large capacity to produce loaves that are larger than you can get from some other models. If you need to serve a large group or if you want to bake occasionally instead of every day, the unit may suit you. While not as stylishly designed as some models, it is unobtrusive on your countertop. Look around and talk to the guy at the sales counter. Don’t be surprised if they boast about the popularity of Sunbeam 5891 programmable bread maker. 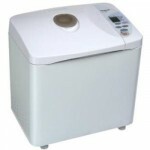 In terms of popularity, it may be second only to the king of bread maker, Panasonic SD-YD250.